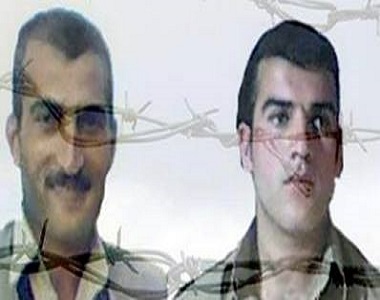 A France-based organisation, the Kurdistan Human Rights Network claims that it has confirmed reports that brothers Ali and Habib Afshari have been executed. They were arrested in late 2010/early 2011 on charges of ‘waging enmity against God’ through ‘propaganda activities’ and ‘membership in a dissident group’. In efforts to protest against the unjust charges and verdict, the brothers went on several hunger strikes. At the same time in Iran, Amnesty International says the whereabouts of 22-year-old Kurdish political prisoner Saman Naseem are unknown. 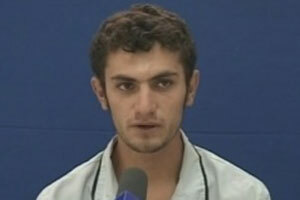 The young Kurd was sentenced to death in April 2013 on charges of “enmity against God” and “corruption on earth” due to alleged membership of the Kurdish armed opposition group Party For Free Life of Kurdistan (PJAK). His execution had been planned to February 19 which triggered a massive campaign to revoke his death sentence. Human rights organisations including Amnesty International and thousands of Twitter users called on President Hassan Rouhani and Ayatollah Khamenei to halt the execution and grant Saman Naseem a fair trial. Saman Naseem was sentenced to death despite the fact that Iran has ratified both the International Convention on Civil and Political Rights and the Convention on the Rights of the Child, which strictly prohibit the use of the death penalty against people who were below 18 years of age at the time of the crime. As many as 127 people have been executed so far in 2015 but the real number may be higher as Iranian authorities do not disclose actual figures to the public. The charts below by Iran Human Rights Documentation Center list the names of people executed by the Iranian regime in 2015. Update: This article wrongly stated that three Kurdish political prisoners had been executed, the third being Saman Naseem. This has now been corrected in the post.